Located on the northwest coast of Java, Jakarta is the country’s economic, cultural and political centre. The official metropolitan area, known as Jabodetabek (a name formed by combining the initial syllables of Jakarta, Bogor, Depok, Tangerang and Bekasi), is the second largest in the world, yet the metropolis’ suburbs still continue beyond it. Jakarta is listed as a global city in the 2008 Globalization and World Cities Study Group and Network (GaWC) research. In 2011 the growth of the economy of Jakarta was ranked 17th among the world’s 200 largest cities, a jump from its 2007 ranking of 171. Jakarta has grown more rapidly than Kuala Lumpur, Beijing and Bangkok. The city is the seat of the ASEAN Secretariat. 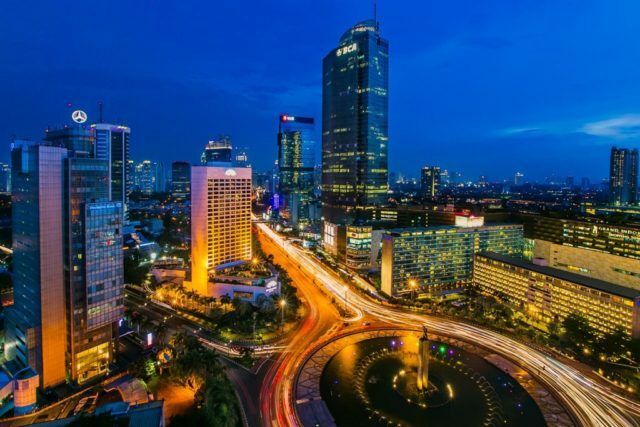 Jakarta is served by the Soekarno–Hatta International Airport, Halim Perdanakusuma International Airport, and Tanjung Priok Harbor; it is connected by several intercity and commuter railways, and served by several bus lines running on reserved busways. For more information about living in Jakarta, please visit our international office website.